The Screw Table by Tom Dixon combines beautiful design with mechanical knobs that make life easier. Screw, as the name of the product indicates, is exactly what you can do with this table. At first sight, the table is reminiscent of a normal round bistro or dining table. 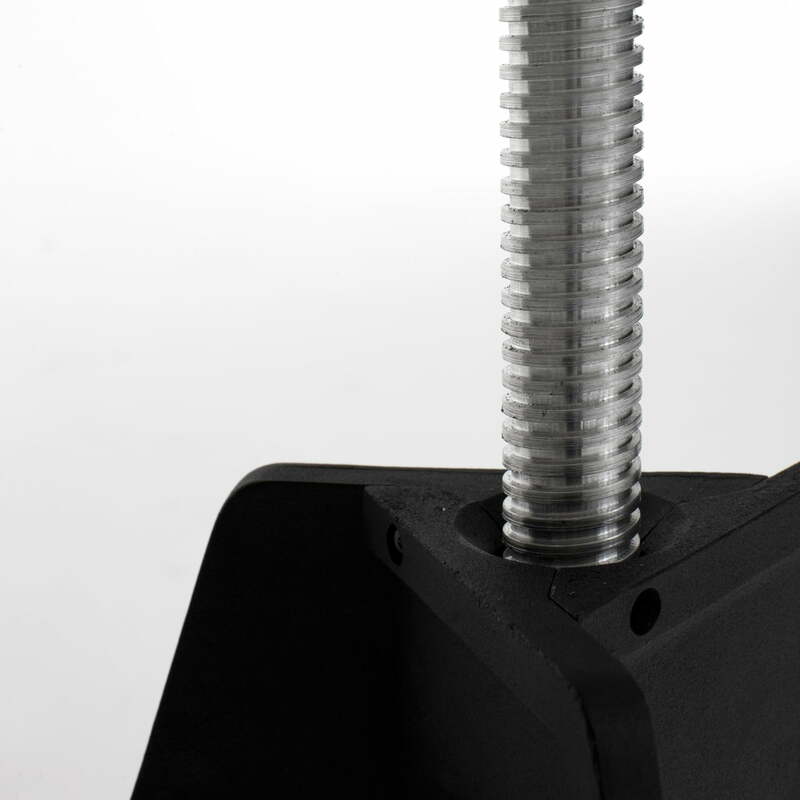 On a second glance, the table top made of marble is resting on a large aluminum screw, which makes it possible to rotate it to different heights. The table top is simply turned to the desired height and then secured with a locking pin. The three-legged table stand is made of iron in black. 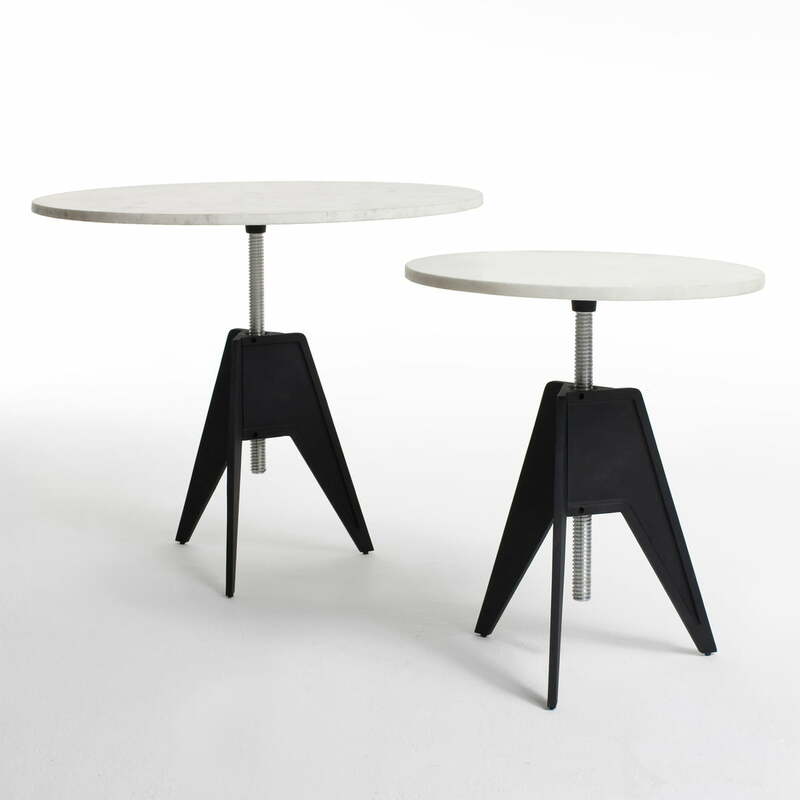 The Screw Table by Tom Dixon is available in two different sizes, each with a black or white marble top. Individual image of the Screw Table in size small by Tom Dixon. The top of the table is made of marble and the three-legged base of the table made of iron. Individual image of the Screw Table in size large by Tom Dixon. The top of the table is made of marble and the three-legged base of the table made of iron. Group image of the Screw Table in size large and small by Tom Dixon. 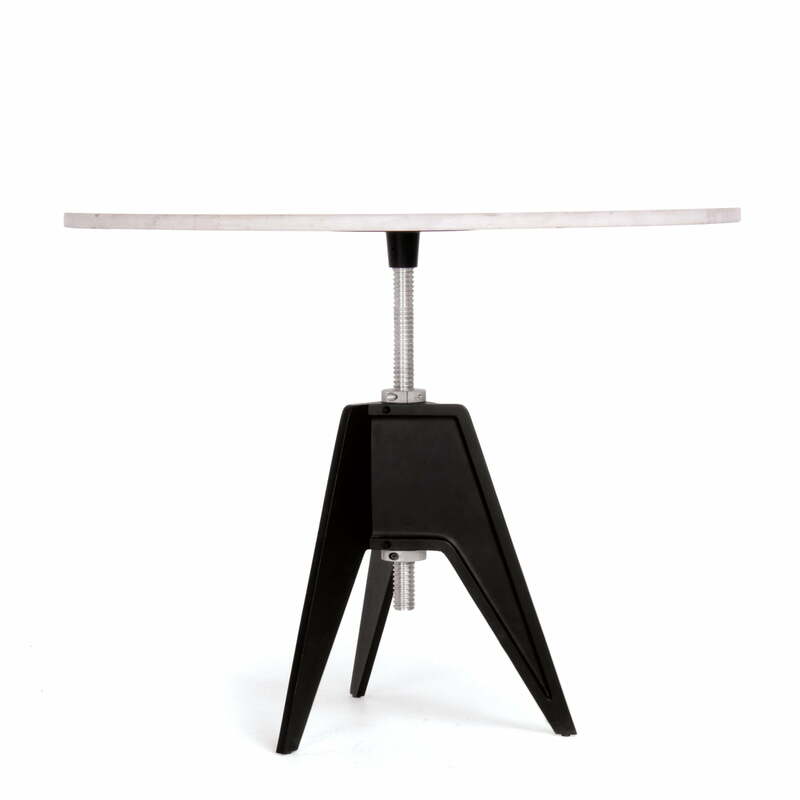 Both tables can be adjusted in height thanks to the aluminium screw in the middle of the table.